Our outdoor sessions at the beach, at your home or in the studio are always fun, relaxed and full of creativity. 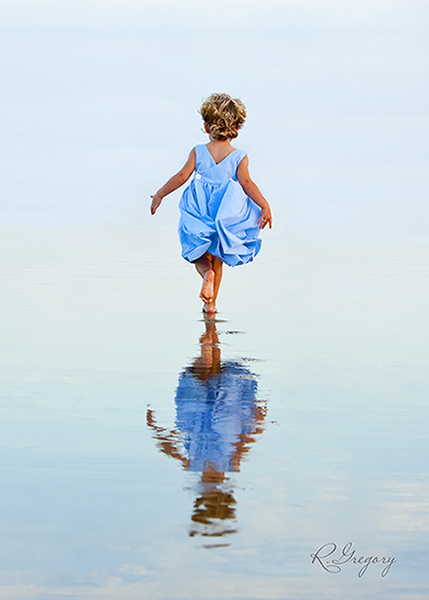 We can turn your favorite photograph into an Oil on Canvas masterpiece. Transform your Photographs into Paintings with Ritchie Gregory. Gift certificates of a family portrait or other photograph make a great, unique and thoughtful gift for Mother’s Day, Father’s Day, Grandparents Day, Christmas, an Anniversary or just to show you care. 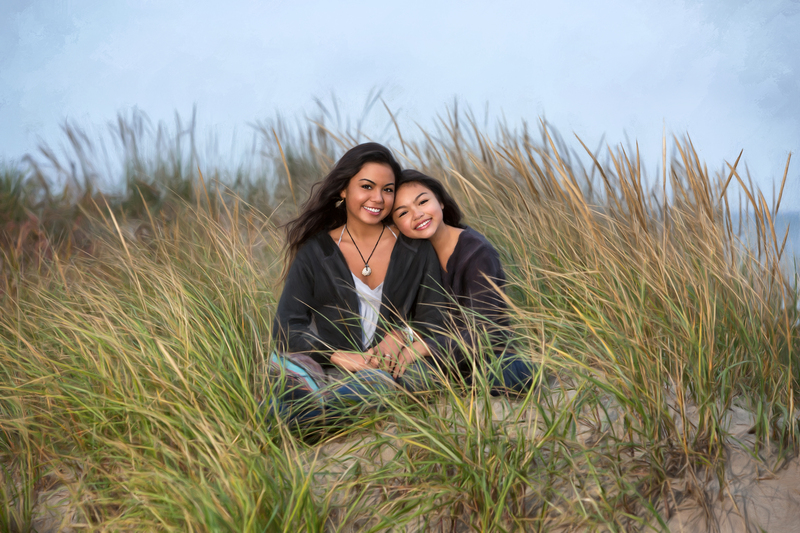 We have photography gift certificates available in a variety of amounts. 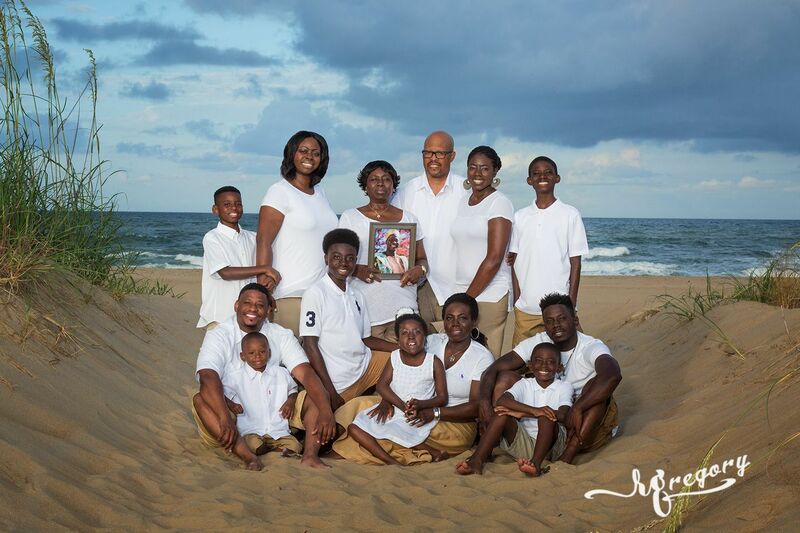 Give the gift of a lifetime memory with a photography gift certificate from R Gregory Photography. 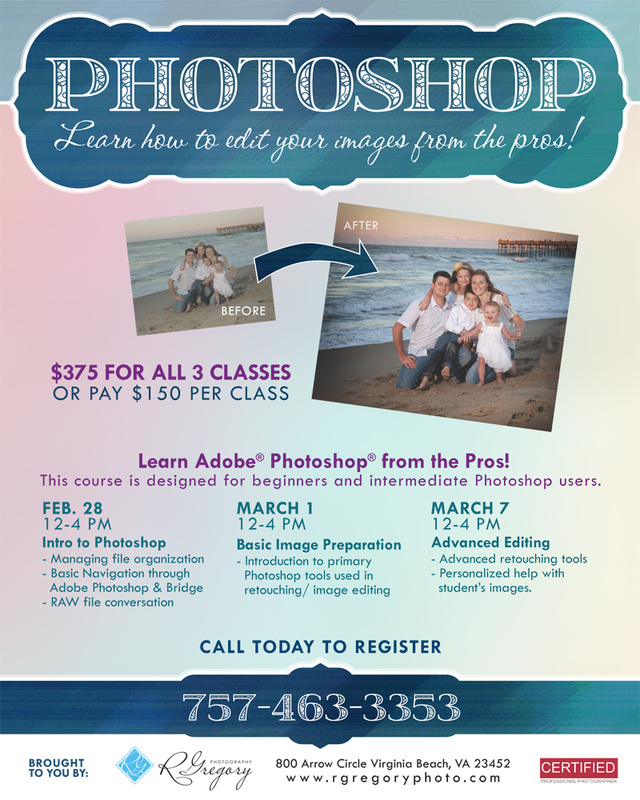 Learn Adobe Photoshop...or Learn MORE about Adobe Photoshop! Be able to turn your "almost great" photos into amazing photographs.